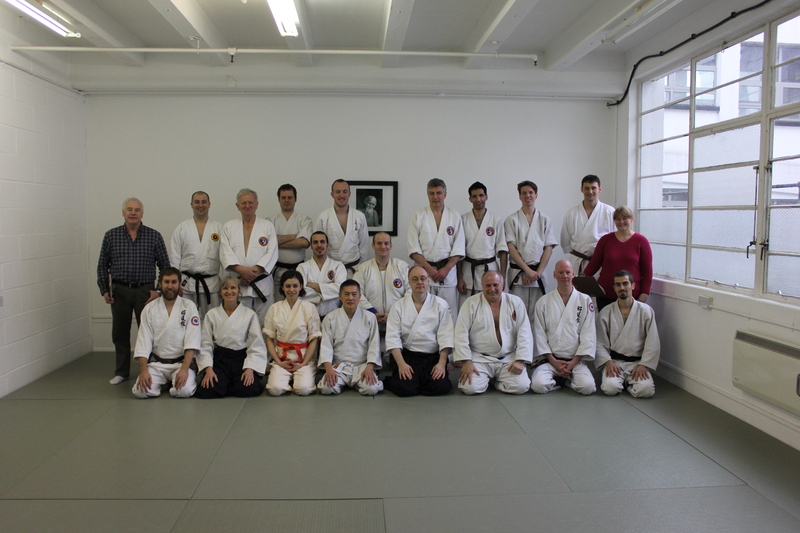 Ann 2nd Dan and Steve Billett 6th Dan, a husband and wife team of British Aikido Board Coach Tutors ran a full weekend course to qualify 14 London based Aikidoka to become qualified by the British Aikido Board to Coach Level One which will allow them to instruct on their own and open their own clubs. 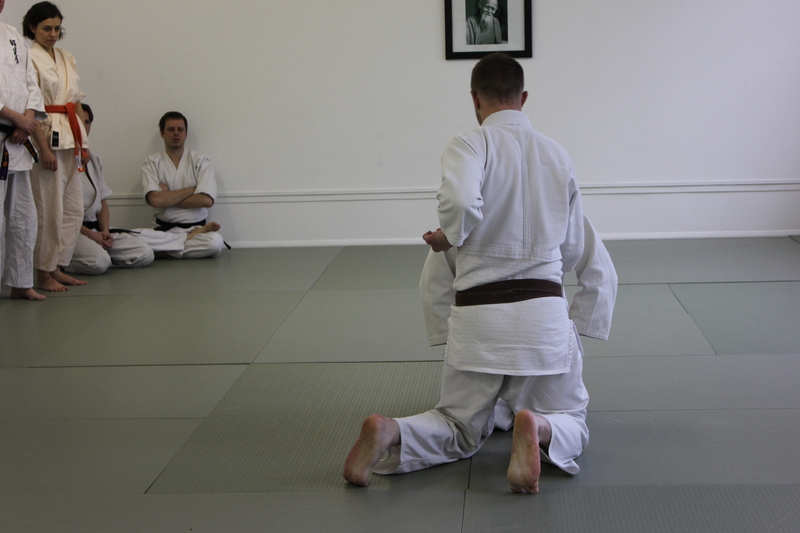 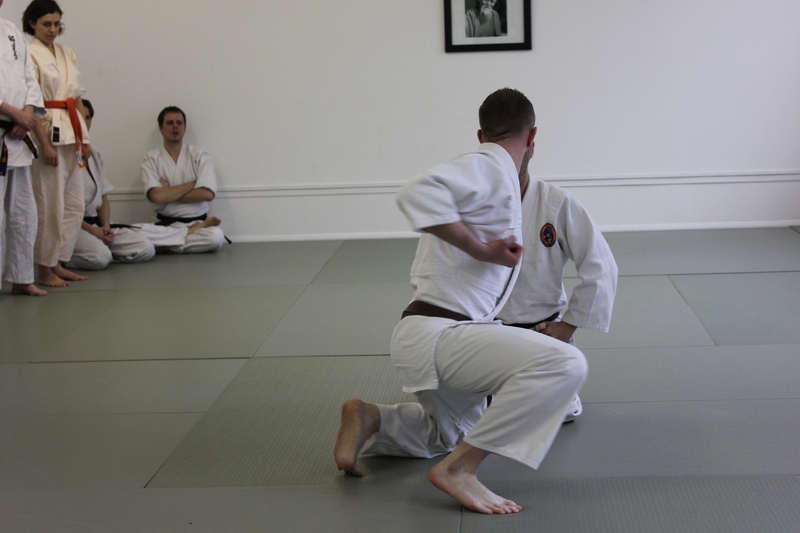 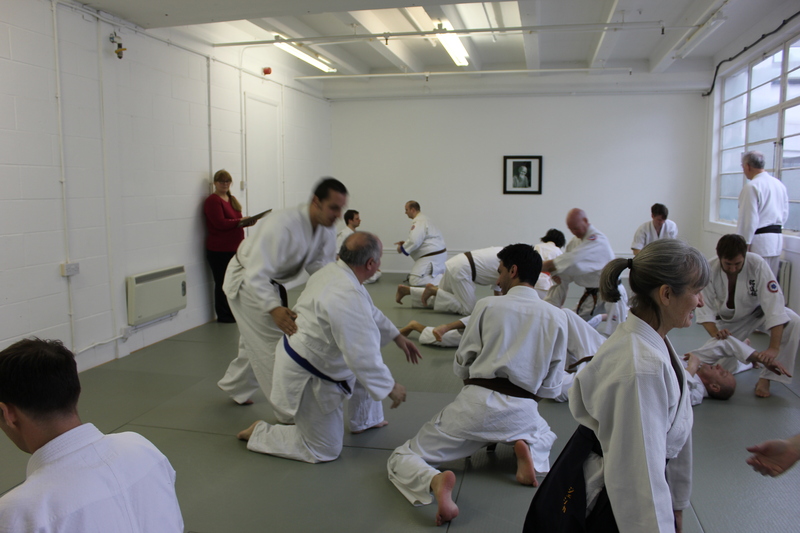 Anyone attending the course must be recommended by their association and already possess the necessary technical knowledge in aikido as well as be the minimum aikido grade of 1st Kyu. 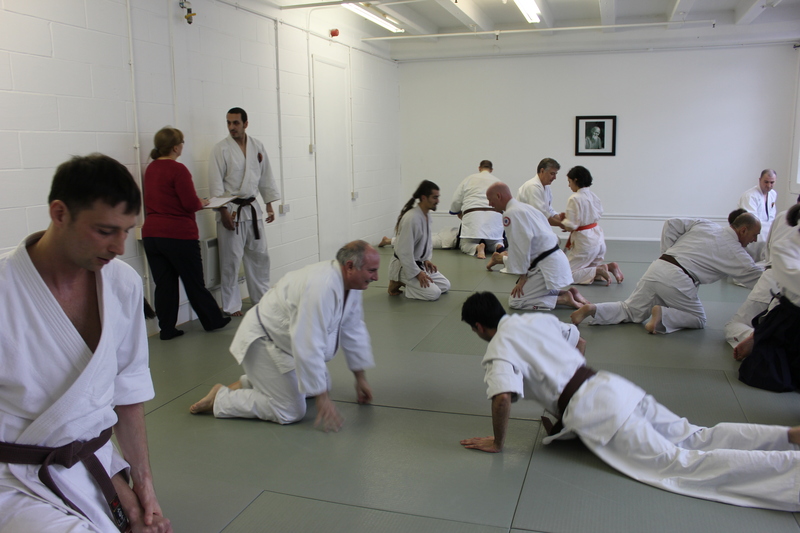 The first day was a lecture and participation event which covered items including Health and Safety, Child Protection, Methods of Coaching and much much more. 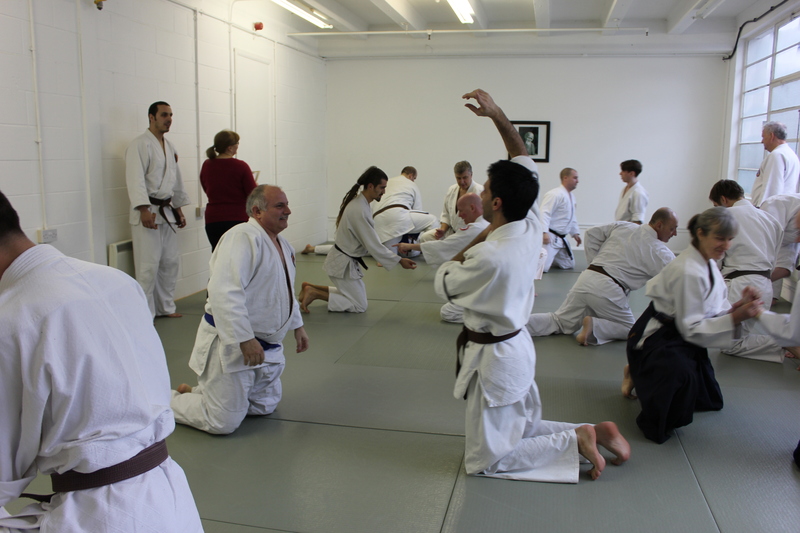 The second day requires each of them to coach for a period of time after which they are peer assessed and then reviewed by the examiners. 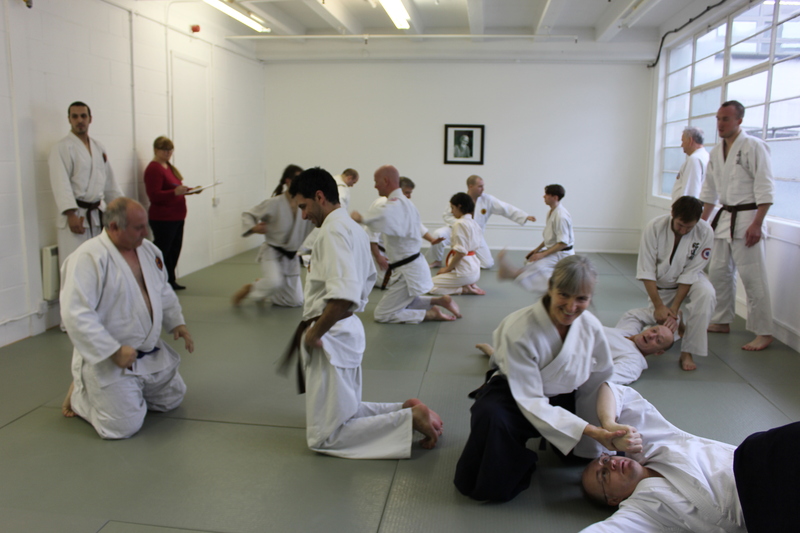 During the some of the coaching sessions scenarios may be set up for them to deal with, from unruly children to Heart Attacks of a training Aikidoka. 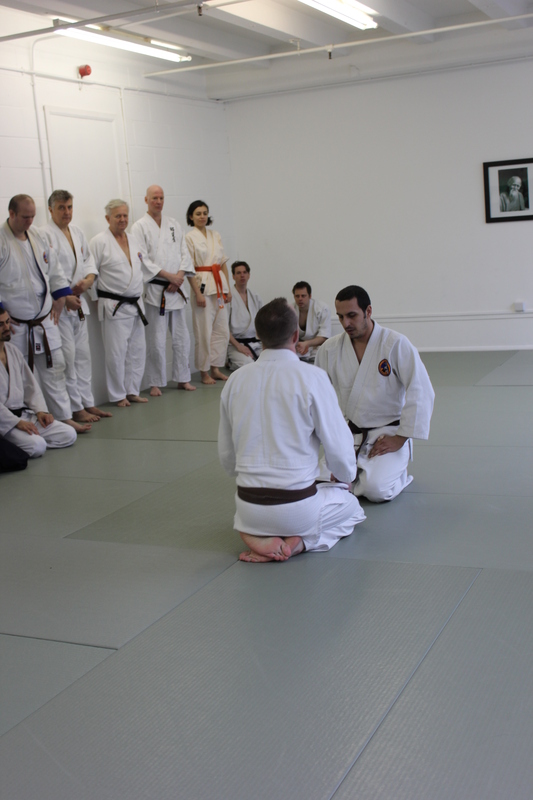 We are glad to say they saved the life of the Heart Attack victim by dealing with the problem promptly and correctly. 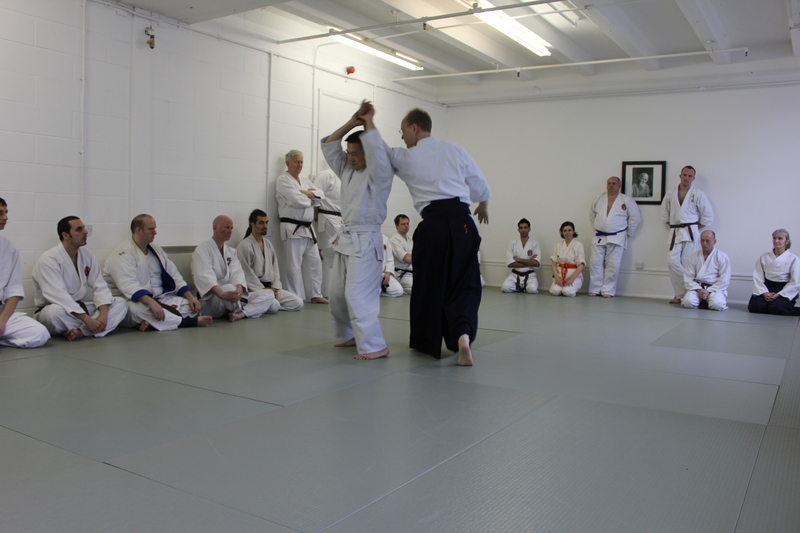 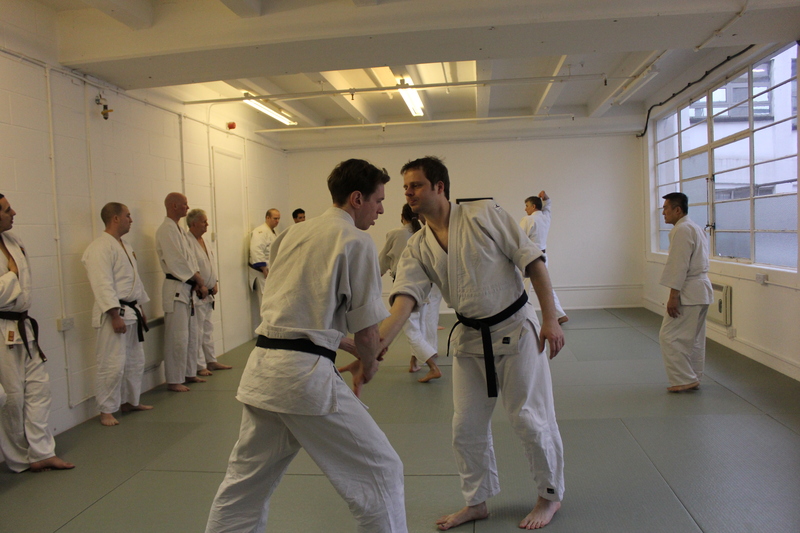 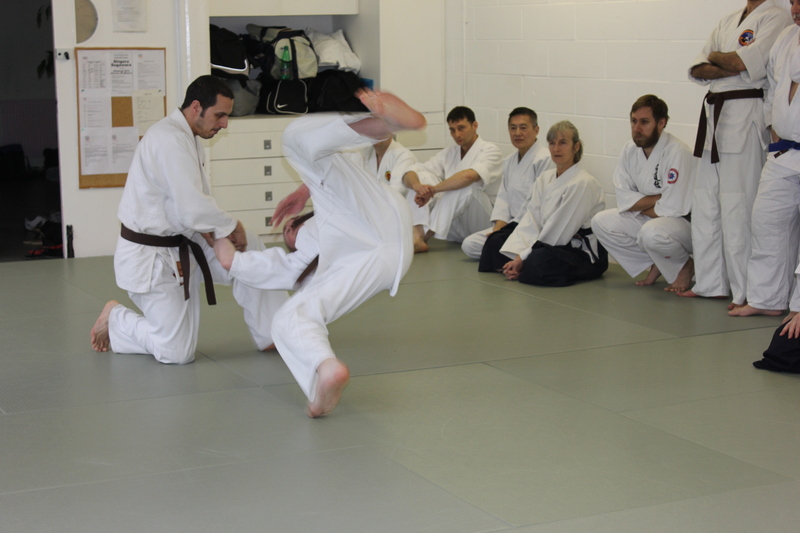 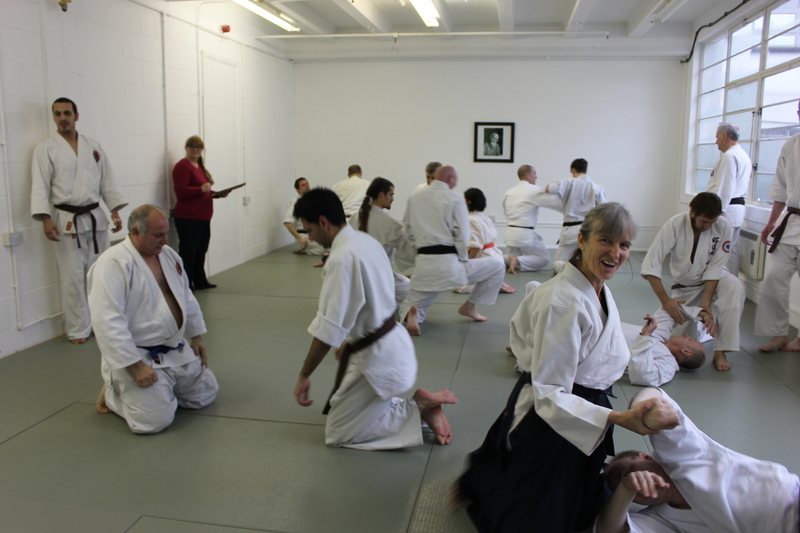 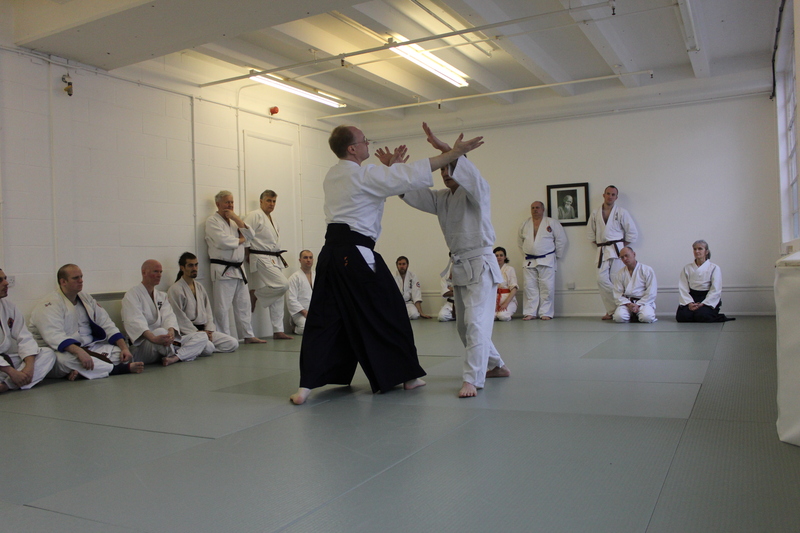 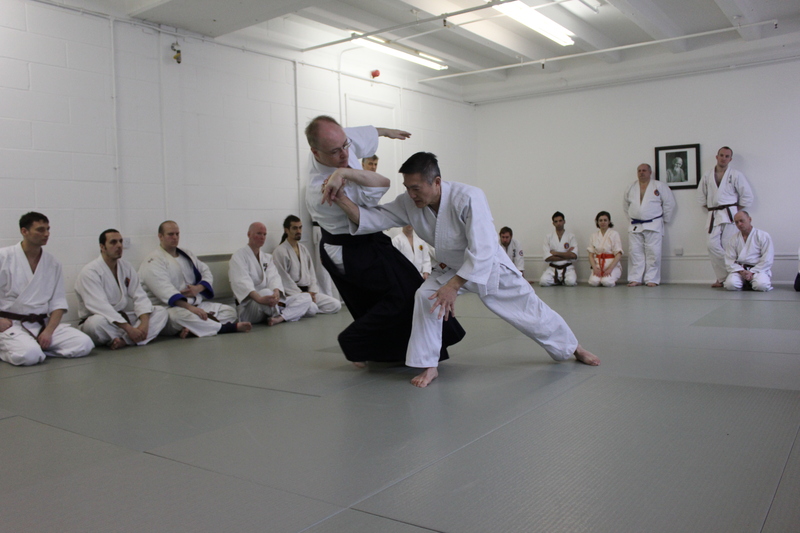 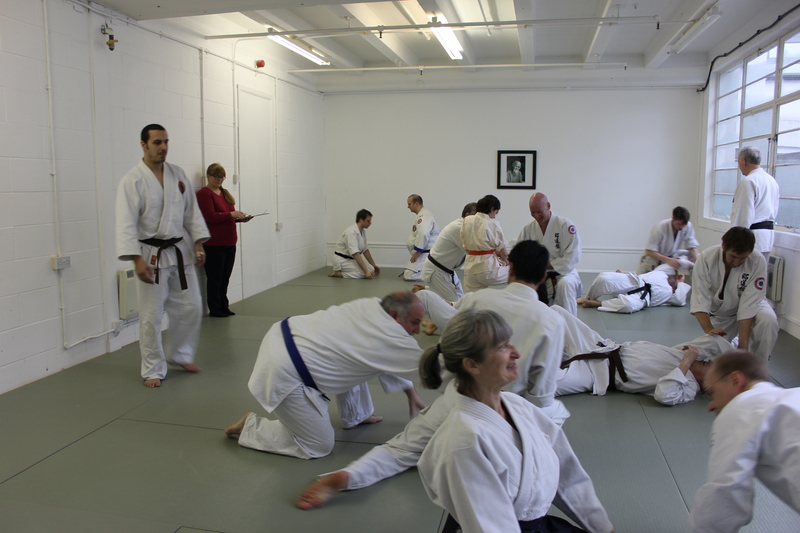 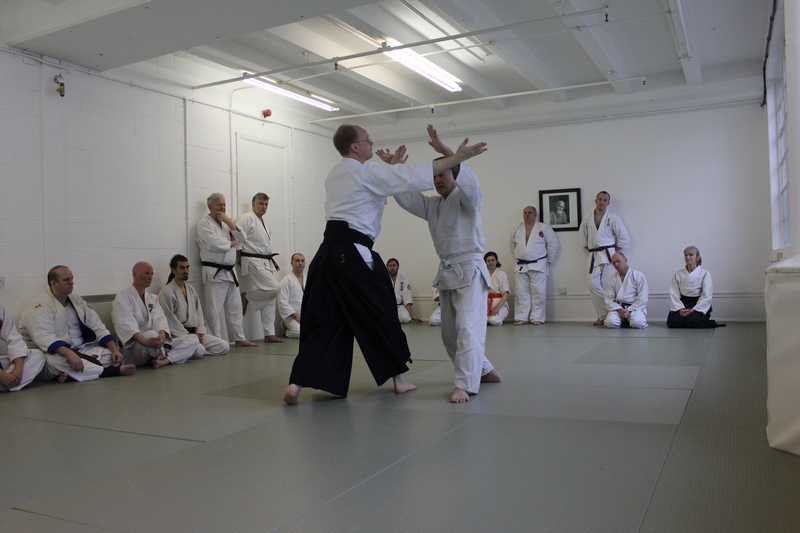 Our thanks go out to members of the Aikido Development Society who provided the actors for the training session. 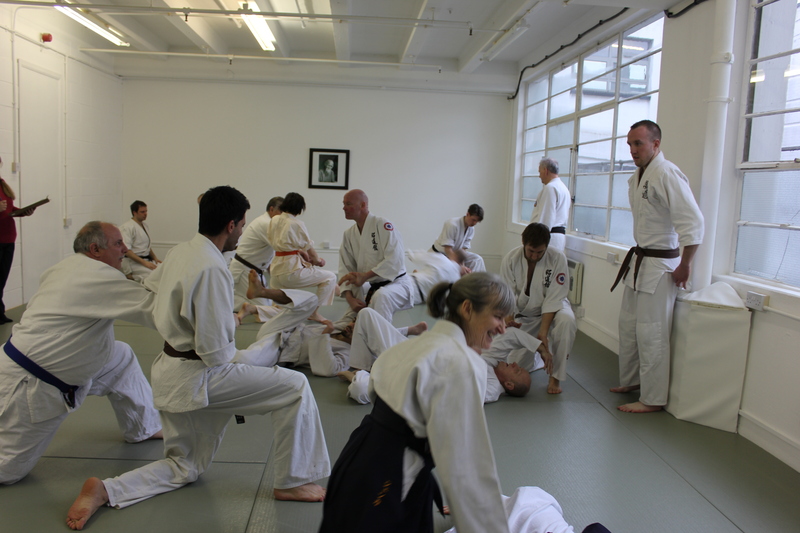 Although most of them are at least in their late 30’s they transformed into unruly children with ease and one of them has an uncanny ability to fain a Heart Attack, he has in the past fooled a paramedic we had on a previous course when we had to stop him calling 999 for ambulance service. 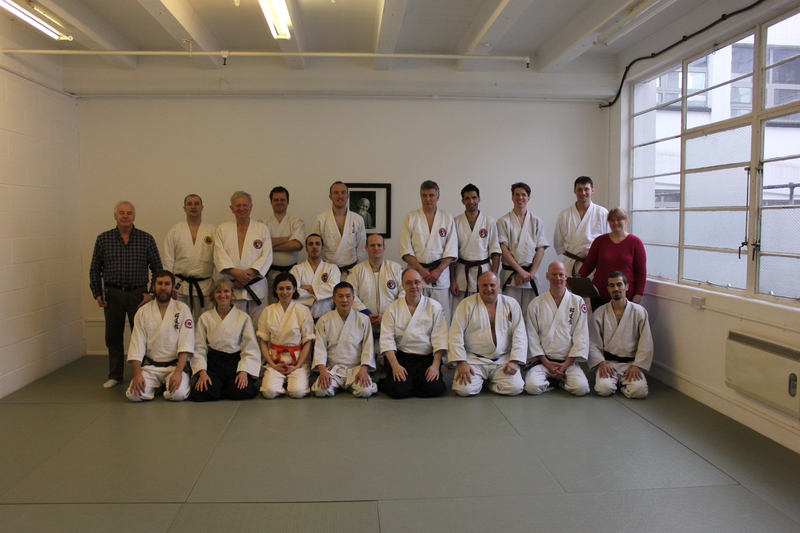 The feedback we have received from the course participants said that they not only enjoyed the course but also learnt a tremendous amount of new information. 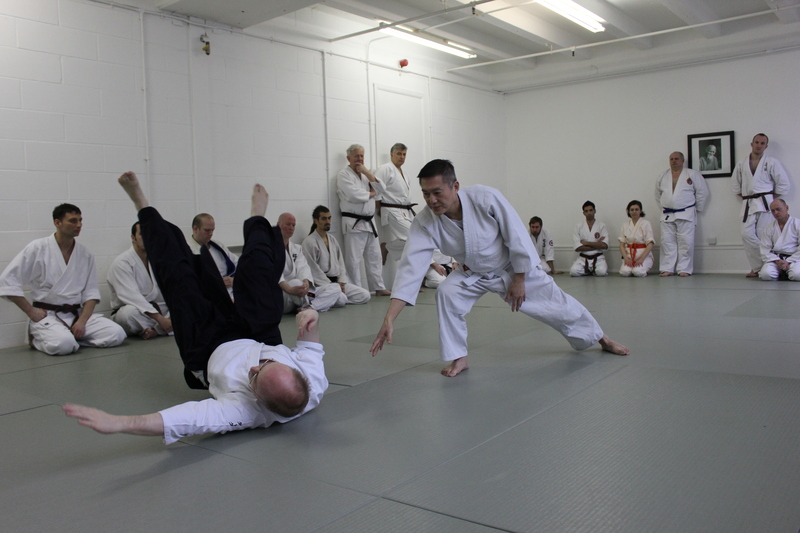 If fact we had one course member who has been teaching and running his own clubs for over 10 years both in Japan and Canada. 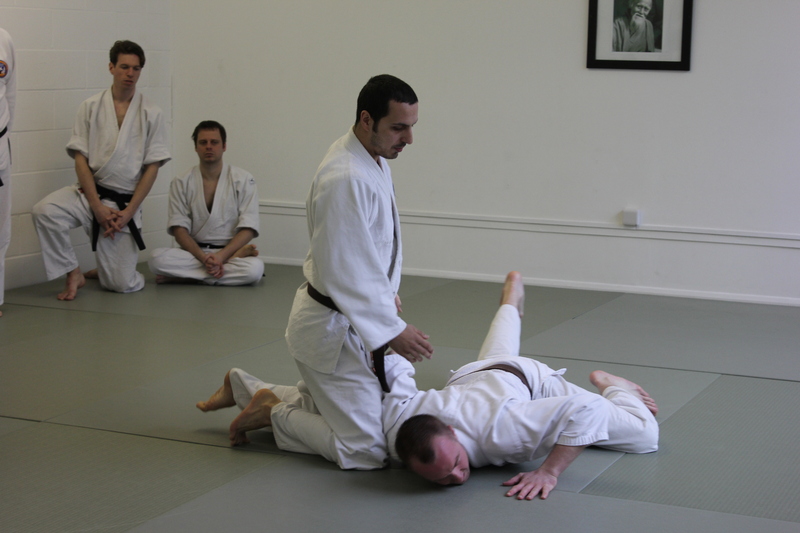 He stated he had never been on a course that he had enjoyed so much. 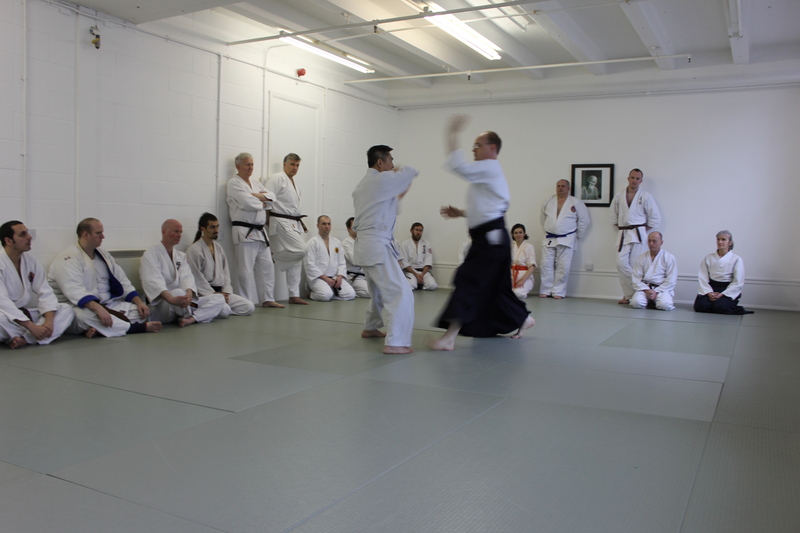 Although already very experienced he needed this qualification to be able to teach Aikido in the UK under the National Governing Body and Sport England recognition.